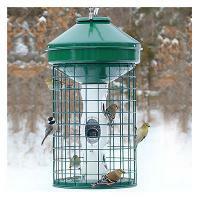 The Cobalt Twin Feeder holds 2 types of seed!! 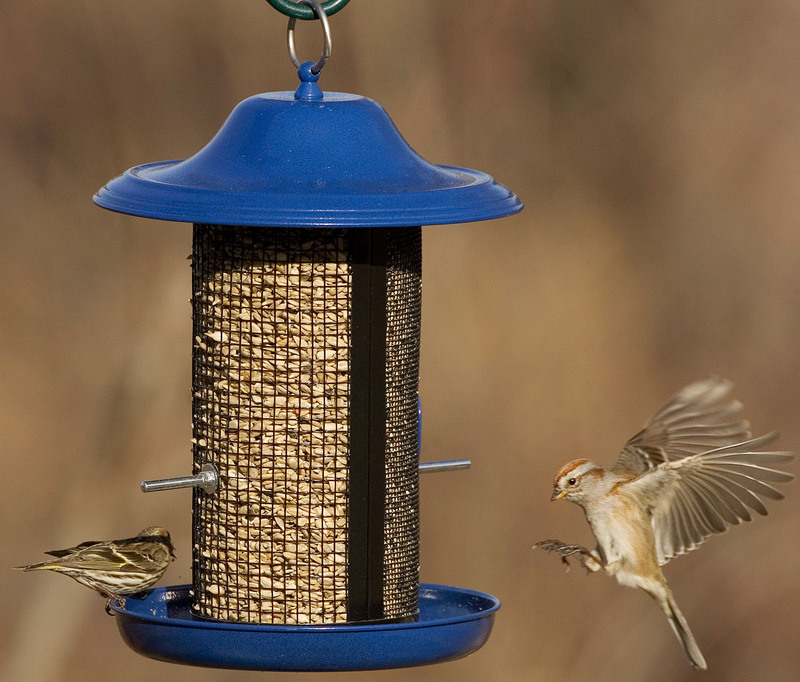 With 2 seed compartments you are able to feed multiple species of birds at the same time. A wide variety of your favorite backyard birds will visit this feeder, including Cardinals, Nuthatches, Chickadees, Finches, Woodpeckers, and more. 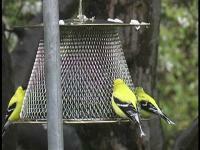 Birds can perch from perches, screen or tray, whichever position is most natural for them. 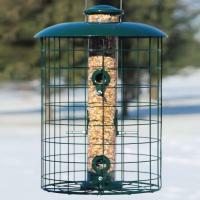 Built-in drainage holes keep the seed dry and fresh. The seed diverter helps the seed to flow easily into the feeding area. 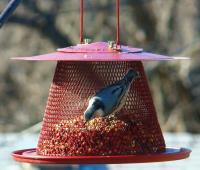 Removable roof makes filling and cleaning the feeder simple. Durable, all metal construction.